A Foot Levelers custom orthotic is individually designed for your feet – helping achieve a balanced foundation and stabilized pelvis. Our custom orthotics are handmade for your unique feet based on 3D scans or casts, and your doctor’s exam. Generic, off-the-shelf inserts risk worsening your symptoms because they address only general conditions, and with questionable results. Your feet are as unique as your fingerprints. Only Foot Levelers custom-made orthotics are built specifically to meet your individual feet, body and health needs. 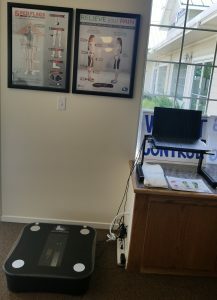 Barr Family Chiropractic is an authorized dealer for your Foot Leveler needs, book an appointment today, for your scan.